If there is one name in comics that you could bring up to virtually anyone, it’s Stan Lee. Let’s just be frank here; the man is a true legend, and although there are numerous creators through the Golden and Silver ages of comics that have contributed (in no small way) to the universes we all have come to love, not everyone who isn’t a die-hard fan knows who Jack Kirby, Steve Ditko, Bob Kane or Bill Finger is. Stanley Martin Lieber, better known as “Stan Lee,” passed away this morning at the age of 95, less than a year and a half after his wife of 69 years, Joan, left our world. His legacy, however, will live on without end, as he left us with millions of hours of comic book, television, and film material through which we can continue to enjoy the world and characters he created, co-created or helped to inspire. Without Stan Lee, we would not have Spider-Man, Thor, the Hulk, Iron Man, the Fantastic Four, the X-Men, Dr. Strange, Black Panther, Ant-Man, or Daredevil. With the creation of characters as iconic as these, as well as helping to revive Captain America, Lee’s body of work should impress any who gaze upon it. Stan Lee served our world in more than one way; not only did he create invaluable characters and stories for us to relate to and escape through, but in 1942 Lee served in the United States Army, repairing telegraph equipment as a member of the Signal Corps. 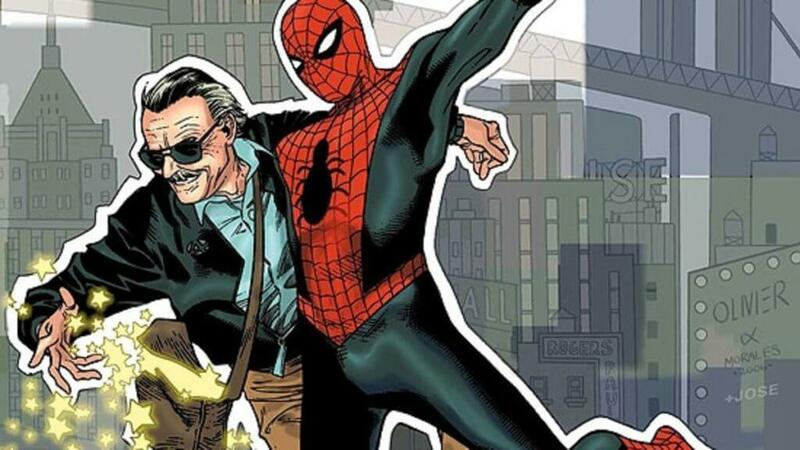 One of Stan Lee’s most defining characteristics comes through in the characters that he helped to create: he believed in creating heroes who were real people with real problems, resulting in a complete paradigm shift for the comic industry at the time. It is largely due to Stan Lee and Steve Ditko’s creation of Spider-Man that teenage heroes are no longer relegated to mere sidekicks and possess far deeper characteristics than they did prior to Peter Parker’s introduction to the comic book world. Before Lee’s characterization of his creations, heroes were supposed to be infallible, flawless, rarely ever getting one-upped by their foes or struggling in their personal lives. While that was all well and good during a time when the world was experiencing the greatest war and evil it had ever seen, people post-WWII thirsted for more, and it is that thirst that is exactly what Stan Lee’s creations have quenched through the years. Comic books have evolved far beyond the propaganda or childish picture books that they once were. It is through these characters we love that many find peace and answers when they’re struggling at home or in school. Knowing that someone can be fallible and yet still accomplish great things and be a hero in their own way is an invaluable ideal, especially to youth who are in the throes of figuring out life beyond the four walls of their home. Stan firmly believed that it only takes one person to make a difference and that anyone can do the right thing. Stan Lee dedicated his life to creating fantastical stories for us. Even long after he had retired from Marvel Comics and it had been purchased by media mogul Disney, he still made regular appearances at conventions all across the nation, from New York to San Diego. Stan not only gave his time and energy by signing fans’ books, but also made guest appearances on-stage with other comic book industry pros such as Todd McFarlane – who loves to tell the story of him being a young kid and getting to sit next to the great Marvel legend. Stan Lee didn’t always live a king’s life, but he had the heart of one, and his quippy sense of humor never failed to put smiles on all those around him. While on the red carpet of one of the Marvel Studios films, Stan Lee told a reporter that he wanted to thank all the millions of people for coming to see just his cameos specifically, and for then seeing the movie as well. It was this humor that brightened his characters, our comic books, and our world. There will never be another Stan Lee; not in our lifetimes, and not likely in any other. I’ve never been to a convention and, therefore, never had the honor of meeting the man who helped create my favorite character in Marvel comics, Peter Parker/Spider-Man, and it is sobering to know that I’ll never have the chance to do so now. But I can still be thankful by enjoying the stories and characters he gave me and passing them on to future generations. With all of the turmoil within the comic book industry today, it’s easy to forget that arguably its single greatest contributor believed in the Golden Rule: Do unto others as you would have them do unto you. Stan Lee believed that if we all treated one another as we’d like to be treated, our world would be as close to a paradise as it could get. Today, we’ll see posts and comments and tweets about coming together for a day and honoring the legend that we lost out of respect for him, but why should it stop with today? We’re all capable of being heroes or villains through the choices we make in our words and our actions each day. So, if we must disagree on something, then let us disagree with grace, and respond to criticism with humility, always striving to see the best in one another and, thereby, bringing out the best in ourselves. Thank you, Stan, for all that you did, for the dreams that you shared, and the love that you gave; you will be missed more than one man could ever hope to be. That’s enough for my soapbox; I’m not Stan the Man. Andrew "Mr. A-to-Z" Rodriguez is a longtime and avid fan of both the video game and comic book art mediums and brings that adoration to Geeks + Gamers as a contributing writer.